Really superb compact 'Bushcraft Companion' from Barkriver knives, USA! 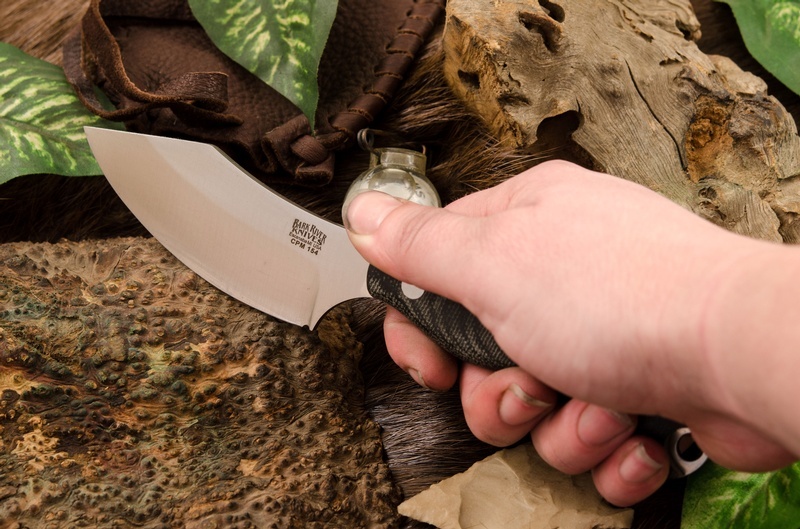 Designed with Chris Tanner, the knife is a great compact Bushcraft tool, camp knife and general Purpose field knife. 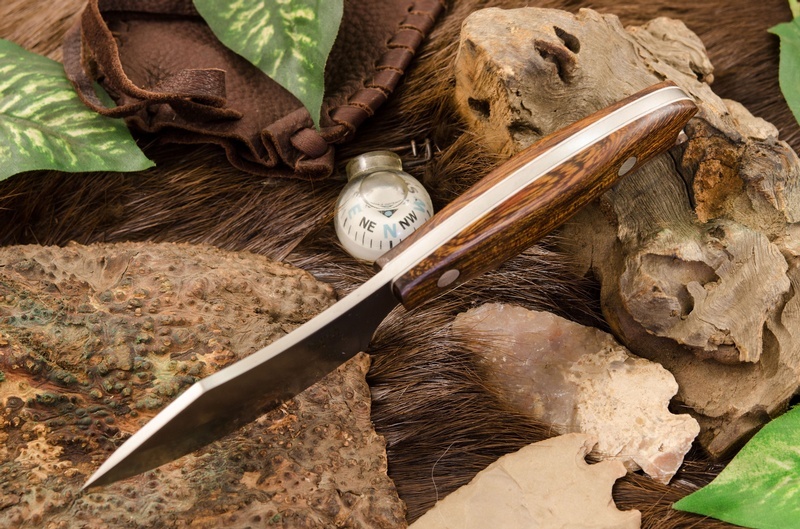 The design allows for great control and precision working of the 3.65in upswept blade. 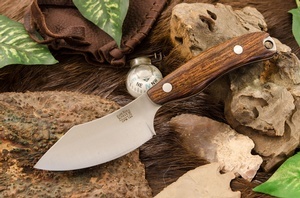 The CPM 154 steel is extremely tough and holds a great edge and the build quality matches the high end design making for a really great practical tool of the woods. *Sheath contains MAGNETS, do not wear with Pacemaker! 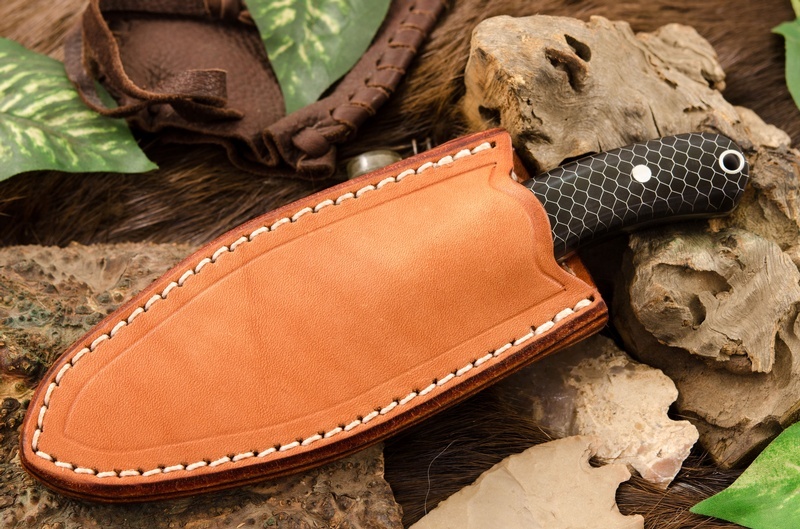 Overall Length: 7.5" Blade Length: 3.675" Cutting Edge Length: 3.125" Blade Steel: CPM 154 @ 58-60RC Blade Thickness: .125"
Purchase through PayPal by using the "Add To Cart" button above or use the form below to order the Barkriver JX6 CPM 154 Desert Ironwood white liner (3) . Feel free to contact us if you have any questions about the Barkriver JX6 CPM 154 Desert Ironwood white liner (3) .